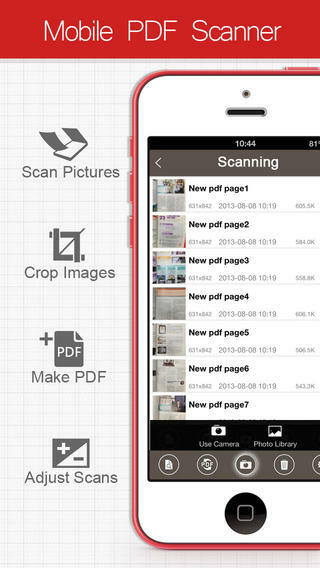 PDF Connect is an iPhone app developed byHsuan Chen/Build to Connect. 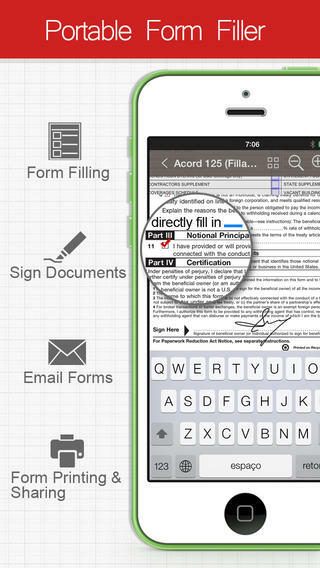 If you’re looking for a multipurpose PDF app, this is one of the best options around. This universal app is also suited for iPad users! The features that PDF Connect touts as some of the most exciting include fast document rendering speed for large files, editing, scanning, PDF conversion, PDF form-filling, and the ability to add/delete/rearrange pages in PDF documents. This universal app is uniquely suited to tackle large PDF files over 100MB. PDF Connect allows users to access their files via Wi-Fi, USB, Dropbox, Box, GoogleDocs, Google Drive, SugarSync and MyDisk. 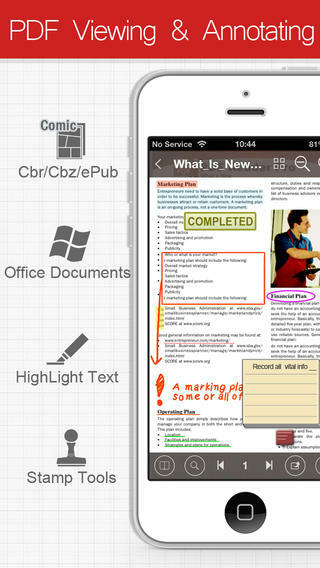 The apps converts Word, Excel, PowerPoint, Web Pages, Pages, Numbers, and Keynote documents into PDF. Other file types are supported, too, to the tune of 200+ file extensions. One of my favorite smart features in this app is signature storage. This is exceptionally helpful for signing contract documents on the go, as is the ability to create both text and Image stamps by importing images from their photo library. Rearranging page order is another awesome perk that this app can boast about. There are a positively obscene amount of features crammed into this app, which makes the elegant interface all the more impressive. It’s easy to find the icons you are looking for, and overall this app is very pleasant to navigate. Setting bookmarks and jumping ahead in the document are practically effortless. The app supports not only English, but French, Spanish, German, Italian, Japanese, Portuguese, Russian, and Mandarin as well. This makes this app a great choice for businesspeople working abroad, or companies with an international presence. I can’t say enough good things about this app. 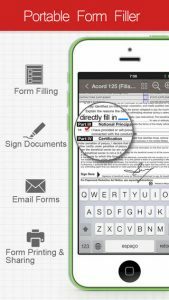 It’s packed with useful features, easy to navigate, and one of the most robust PDF tools currently available on iOS. If you want a PDF tool that offers the right blend of form and function, this is the app you’ve been craving. PDF Connectrequires iOS 5.0 or later. Compatible with iPhone, iPad, and iPod touch. This app is optimized for iPhone 5.